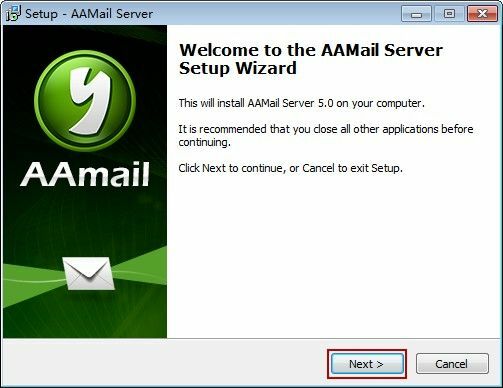 It is very easy to install AAMail server. Click the "Next" button until finish. The setup wizard of AAMail is very helpful, you just need to follow the instructions until finish the processes. The specific operation steps are as follows. 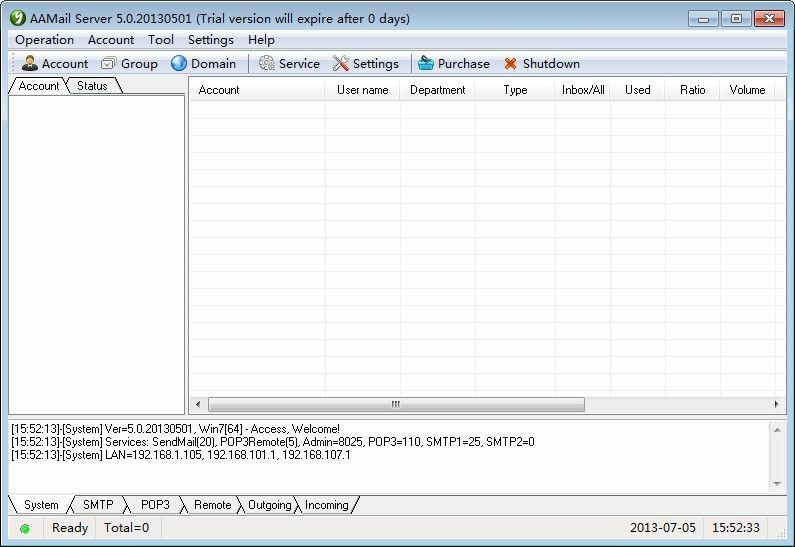 1) Download AAMail installation package from http://www.aamailsoft.com/download.htm. And then double click it to install AAMail server. Normally, keep click the "Next" button until finish (Figure 1-1). 2) Double click AAMail desktop icon. For the first time to run this program, it will pop up the "AAMail Setup Wizard" dialog box. Then, click the "Next" button (Figure 1-2). 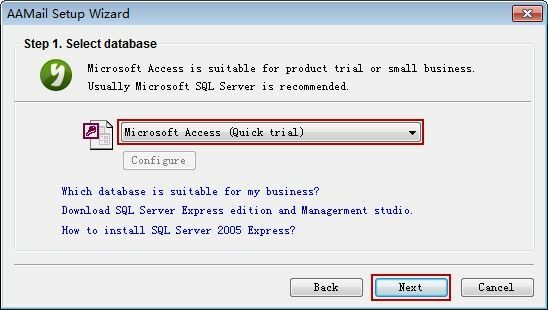 3) Please select the "Microsoft Access (Quick trial)", and then click the "Next" button (Figure 1-3). If you have installed SQL Server, you can also select "Microsoft SQL Server", and then click the "Configure" button to set SQL Server's connection parameters. 4) In later steps, normally, you can keep its default settings, and keep click the "Next" button until finish. Then you can see the AAMail main interface as Figure 1-4. 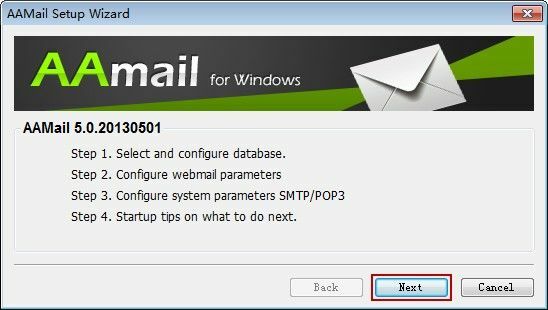 After operating as the above steps, a standard mail server system has been mostly created. The next steps are to create domain name and account, and you can receive and send emails then.